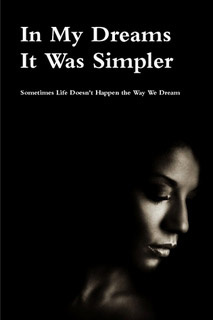 “In My Dreams It Was Simpler” is a fiction series written by a group of Nigerian writers. 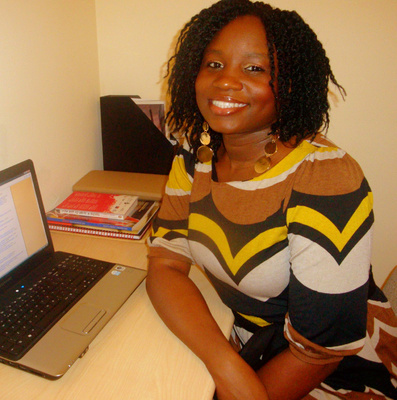 The series was created by writer and blogger, Tolulope Popoola, in May 2009. She wrote the first instalment, a short story titled “My Dilemma” and after receiving comments from readers asking for a part two, she decided to expand the plot and characters. She invited some other writers to join her in realising the project. The other writers are: Latifat Ayoola, Tade Thompson, Ayodele Alofe, Tolulope Adegbite, Erere Abayowa, Rayo Falade, Diamond Hawk* and Flourishing Florida*. Each contributor writes from a different character's point of view, giving each of the stories a unique voice. The first book in the series has just been published, and it is now available to buy from Amazon UK, Amazon US, Amazon France, Amazon Germany or from Lulu.com. The writers are working on the next book, which will be released before the end of 2010. Synopsis: The story revolves around six best friends, a man, his wife, his mistress, a mystery hunk, and a guy with a shady past. They are all thrown together in a series of events and twists that will leave you hanging off the edge of your seat. How will they deal with the situations they face? Will they pull through and become stronger? Or will they become victims of circumstances they cannot control? My name is Tolulope Popoola; I’m a writer and blogger. I grew up in Lagos, Nigeria and I’m now based in the UK. I studied Accounting at university and I was already working as an accountant, but I gave it up in 2008 to become a full-time writer. I’m a bookworm, thanks to my dad who instilled the love of reading in me from a very young age. How long have you been writing and blogging? I started blogging in 2006 but I have always been a writer. I have memories of scribbling made-up stories when I was in primary school. When I was growing up, I always kept a journal, and writing was my therapy when I was going through the angst-filled teenage years. Apart from the series blog, I write three others: my general musings blog; my fiction blog and my personal take on relationships. At what point exactly did you know you wanted to be a full-time writer and what sacrifices have you had to make? I started getting bored with my job, my long commuting times and the stress of the 9 to 5 routine in early 2007. I realised that I would be miserable if I remained an accountant for the rest of my life. I started thinking about what I could be doing that will bring me fulfilment. Blogging had rekindled my love for writing and the more I thought about it, the more I realised that I will always be happy when I am writing. From then on, it was only a matter of time before I left my accounting career. In terms of sacrifices, I would say the only thing I have given up is the security of a regular paycheck. It was scary, but I knew that I had to take that risk. I have no regrets. The book and the series started as a short story. The idea for the initial short story came to me when I came across a wedding album on Facebook and I was looking through it. I thought the groom looked like a cousin of mine who was already married to someone else. The potential drama of that situation struck me and a few days later, I wrote a short story titled My Dilemma and put it on my short story blog and as a note on Facebook. The theme of that story was how life can throw us into situations we did not anticipate and we have to deal with it. The series grew out of that story, and it includes themes that affect the modern young female – such as relationships, fidelity, secrets, moral dilemmas, friendships, cultural conflicts and career choices. What has it been like working with a team of other writers on this book? It’s been great! Lots of hard work, but fun as well. We’ve learnt to work to a schedule and be flexible regarding the storylines we come up with. I think it also works well because each of the characters has a different voice. Each of us brings something different to the table, so the end result is better than what I could have done on my own. The book has been very well received. We’ve had so many people telling us how much they enjoyed reading it; so much that they couldn’t put it down. Someone said it was addictive. Another person said she read the book and felt like she was watching a movie because it felt so real. People have told me that they can relate to the characters and their lives. We are very excited to get that kind of feedback and we hope our readers will continue to help us spread the word about the series. One lesson is this: we may have plans, dreams and goals for ourselves but some things are out of our control and we find our dreams don’t quite match up with reality. Life is not always as simple as we want it to be. I have so many. I grew up reading Louisa May Alcott, Mabel Segun, Enid Blyton, Buchi Emecheta, Cyprian Ekwensi, Sidney Sheldon and more. I’m sure they helped to shape some of my writing now. Recently, the people that have inspired me are Rose Tremain, Sadie Jones, Sefi Atta and Chimamanda Ngozi Adichie. I’ve learnt different things from each of them. In particular, I am very grateful for the friendship and support of Abidemi Sanusi (author of Kemi’s Journal). She’s taken me under her wing since I began my writing journey. She has and continues to be a source of inspiration, encouragement and motivation. I’m fascinated by people and their experiences. The things they say, their hopes, fears and dreams. I usually get inspiration from conversations, songs, personal stories, events, everyday life; from characters in books or on TV, people I meet in the local post office and so on. Inspiration can take many forms, and sometimes it comes right out of the blue. Since I didn’t write it alone, the book itself was not too difficult. Each member of the team did a great job working on their character’s life and issues. The main challenge was getting the individual plot lines and different chapters to come together into one story. I had to read the chapters over and over again to ensure that we didn’t overlook any important detail that could change the direction of the story. The decision to self-publish it was also a risk, as none of us had any experience with that side of the business. This presented a huge responsibility as we had to make all the decisions regarding the book ourselves – from choosing the cover to using the right formats. It was quite daunting; but it was a good learning experience and we are very pleased with how the final product turned out. I think for every fiction writer, the main skills you need are the power of observation, and an active imagination. Creating a story based on made-up characters requires both of this because you have to use your imagination, and also bring in aspects of real life that you have observed. I’ve heard someone say – writers are professional eavesdroppers. I’ve learnt how to take inspiration from real life and turn it into fiction. What’s your most fulfilling moment from inception of the idea till now? For the series team, we ware already working on the next book, which we hope will be ready before the end of the year. For me, I’m going to carry on writing and blogging. I am working on a novel and a collection of short stories at the moment. As I don’t have any formal training in Creative Writing or Literature, I would like to pursue a degree in the field in the not-too-distant future. Long term, I would like to create opportunities for other aspiring writers to develop their voice, improve their craft and market their work. I also want to develop some of my other passions in art and photography, amongst other things. Keep reading and writing. There is no better way to improve your work. And be resilient in doing it, even when you get discouraging comments. Pick yourself up and continue. Where and how can we know more about your work? d excerpts alone is making me hungry.wia cud i get a copy of d book in Nig ? Where do I even begin? I suppose saying “I’m sorry” is a start.